Hi there! 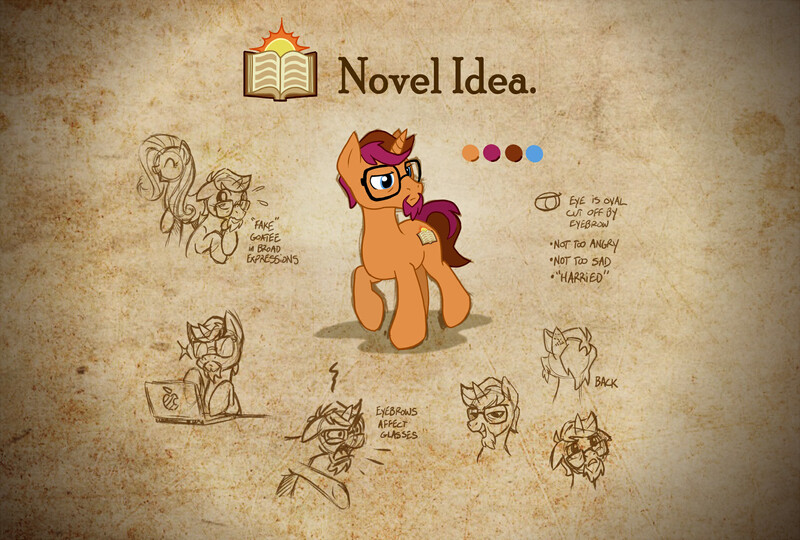 I'm Novel and I create things. Usually by writing My Little Pony stories about sprawling new timelines, difficult realities of life and sometimes, just to have fun. I also do cover designs, using existing artwork to create covers of fanfics to use in your favorite ebook reader! This Patreon was originally created to be a monthly tip jar without any rewards at all. However, life threw a few curveballs at me and, today it's a different story. Now, this Patreon exists first to support my family and me as we need to move to a new (and much more expensive) place to live. Second, it's my primary means of commissioning artwork for my various stories. Any Patreon automatically gets access to my personal Discord server, The Nook, as well as access to a Patreon-only channel (as long as you don't hide in there, you are supposed to mingle with the rest of the server!). Also, that channel is actually in a treehouse, so you know it's cool. Each tier of my Patreon has a host of different rewards, from getting a free copy of one of my published original short stories to access to getting previews of cover art for upcoming stories! None of this content is gated and everything will eventually be released to the public, you just get it early! As far as cover designs, please remember that the work I do is usually based on other people's work. I don't provide the art. I only do the lettering, effects, typography, coloring, shading and some minor design elements. Please go support the artists who pour their souls into these amazing art pieces (and give them more than me!). Thanks for stopping by and have an awesome day! You're an indispensable part of this reality. Without you, the world would be a dull and boring place with no personality and no color! Access to Novel's Nook, my personal Discord Server to talk about Sunset, writing, shipping and, of course, stories! A special Patreon-only role and color on the Nook! All benefits of the previous tier! You know what's down in the big city. Even though there's a lot of ponies around here, you stand out in a big way. And not only because you occasionally get a split-second as an alicorn due to an animation error. All benefits of the previous tiers! You're practically royalty! Heck, you've got a custom model with optional monocle! You're the pony everypony should know. A free copy of one of my original published short stories! Early access to scenes and story snippets from the MLP: Unity D&D Campaign! You're wild. You're a bit crazy. But you definitely know how to get things done. And you've even grown a bunch over the years to becoming something legitimately epic in more ways than one! Monthly AMAs on the Nook with me on voice! Early access to Wavelengths deleted scenes as they come up! The Larson Protocol has been engaged. Please stand by as we transfer power to the Orbital Alicornification Beam. A draft copy of one of my original fiction novels! ...yeah, that's all I got. Suggest new potential short story ideas. One of your OCs added to the cast of the Wavelengths Timeline as a background/secondary character. (OC will need to be vetted to make sure they work within Wavelengths). One hour a month exclusive voice-chat discussion about writing techniques using a professional approach. This is beyond gratitude. This is shock. I can't believe you'd actually do this for me. No jokes, no comedy, no facade. Thank you. Thank you from me and my family. You folks are so amazing, I don't even have words. This will help us tremendously in every way.